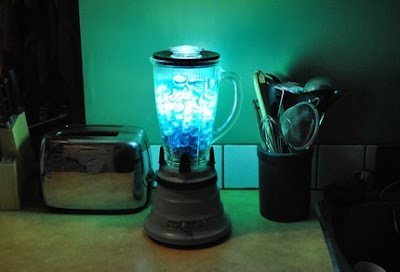 If you have an old blender, then do consider these creative ideas to reuse them. 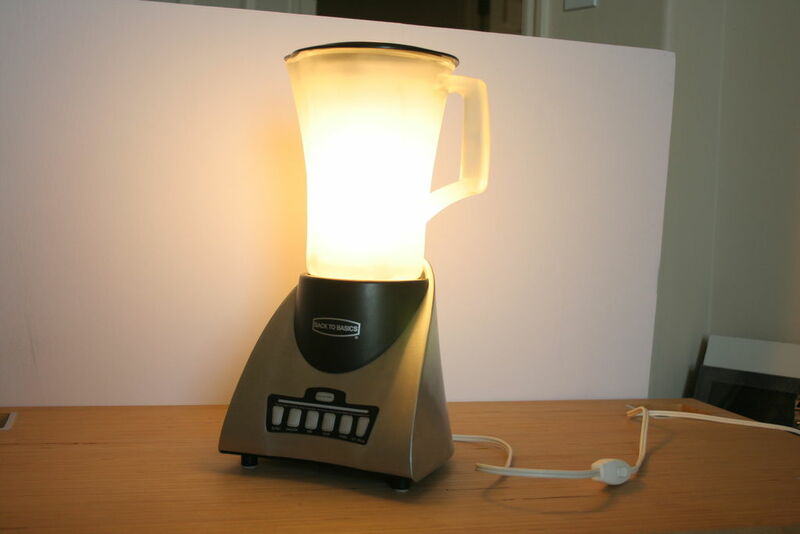 Blender Lamp - 1: Melinda Marinsky uses her vintage blender to create a blender table lamp. 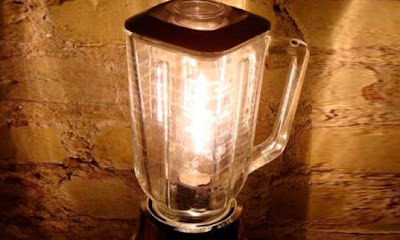 Blender Lamp - 2: This clever lamp by BootsNGus is made from an old blender, it's a perfect mixture of style and sustainability, looks good in any kitchen. 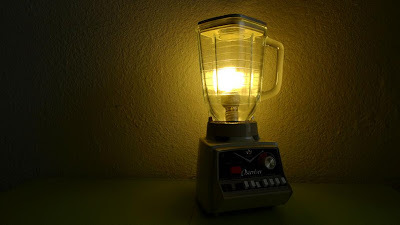 Blender Lamp - 3: Head over to The Black Table for simple instructions on how to make one. Blender Lamp - 4: Blender Lamp by defpotec, looks good on any desk. 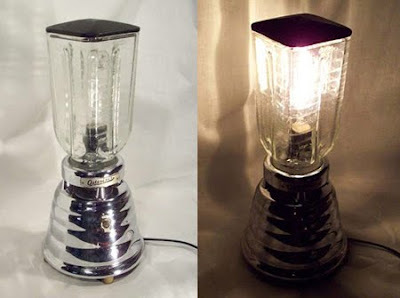 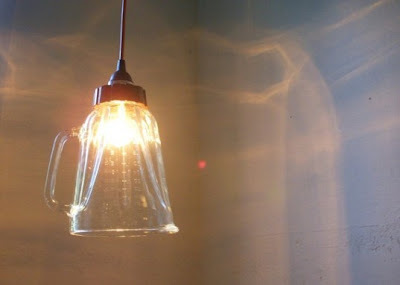 Blender Lamp - 5: A vintage blender turned into a lamp by Kelly Smith. 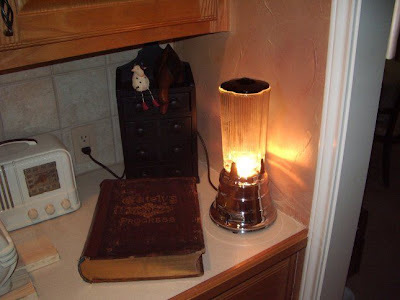 After the rewiring, the original on/off switch became the light switch. Blender Lamp - 7: Minda Merinsky turned an old blender into a new lamp with a stellar retro vibe. After the rewiring, the original on/off switch became the light switch. Blender Fish Bowl: Artist G Candelaria turns mundane objects into whimsical work of art. 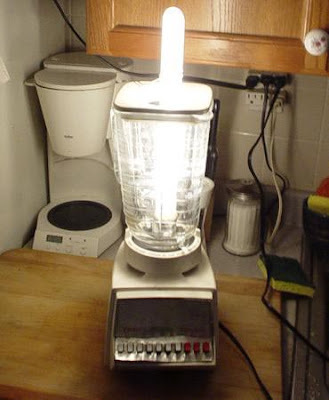 Blender Lamp - 8: The base is chrome-plated steel and it has a simple on/off rotary switch. 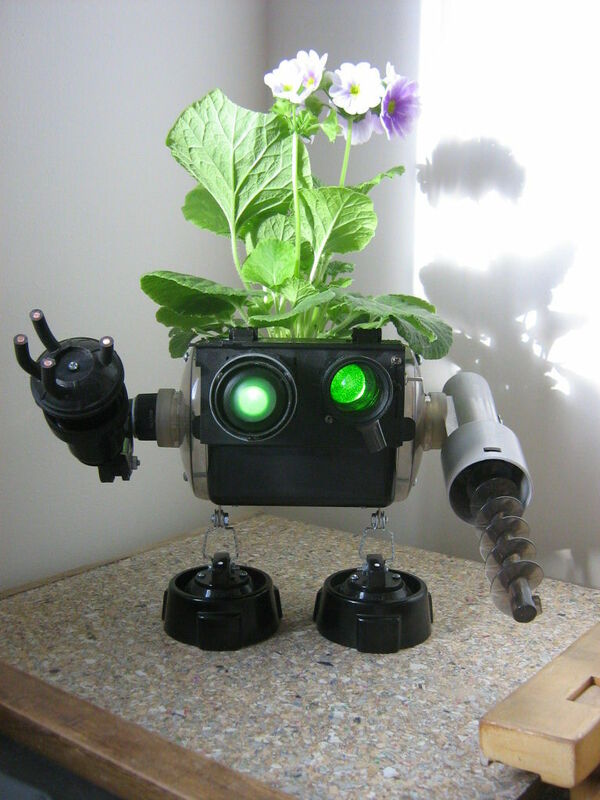 Power Robo Planter: Robo-Planters are made using a black plastic box, a vacuum cleaner piece, light for eyes and bottoms from blender glasses.